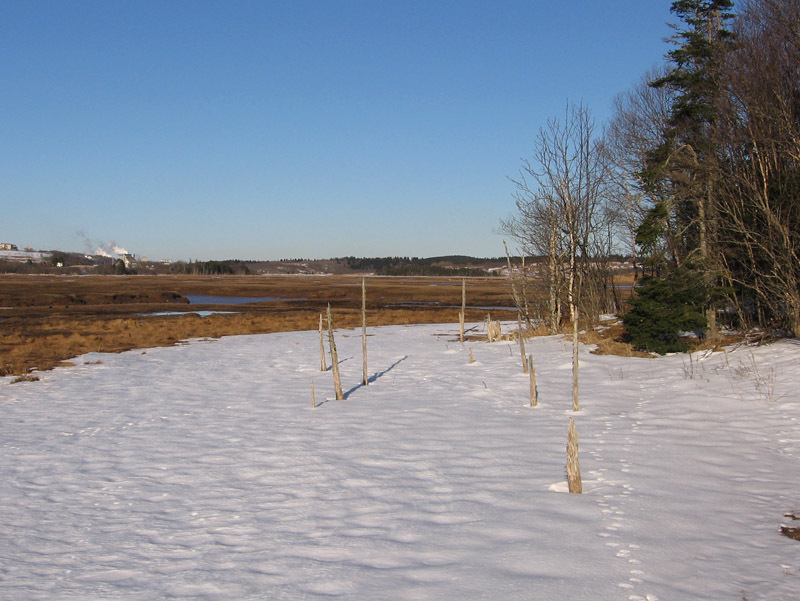 What could possibly be more pleasant than a February afternoon by the Bay of Fundy? There may be some February days that possess a pleasantness exceeded by the average tonsillectomy or root canal, but Tuesday was not one of those. Under a warm and gentle sun the temperature was an unseasonal +6, the sea was a bright transparent blue, and the air was as clear and sweet as I have ever experienced. 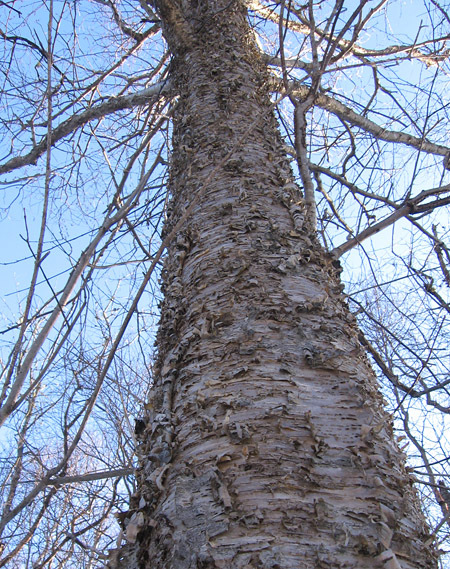 The Irving Nature Park is a tremendously diverse sample of shoreline within the City of Saint John. 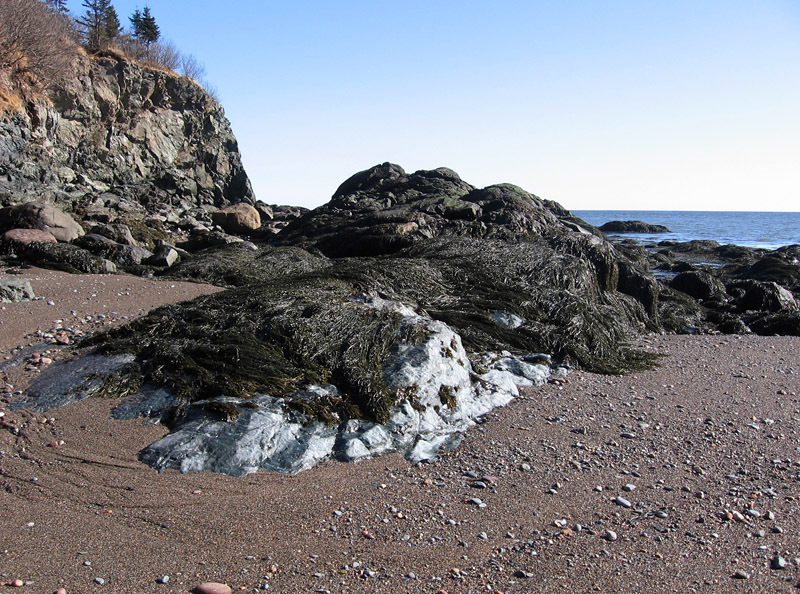 Rocky shore, cliff, shingle beach, sand beach, salt marsh, coastal mixed forest: all of these can be found between Taylors Island, Saint’s Rest Beach, and Sheldon Point. The geology is also of interest: Neoproterozoic or Cambrian bedrock (which looked like metavolcanics to me) is overlain by glacial sediment, and the beach contains a wonderful variety of boulders and cobbles. 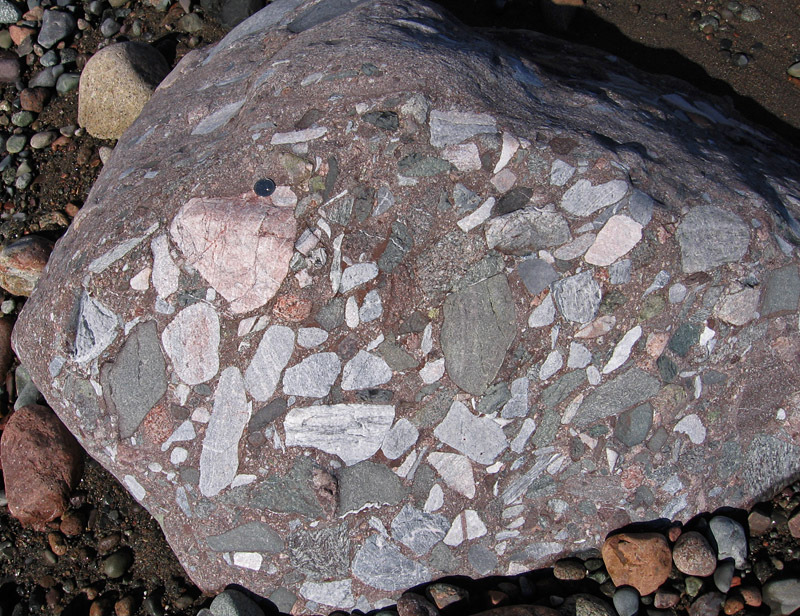 With such varied geology, it is little wonder that the Saint John area has become North America’s first Global Geopark. The nature park is a fantastic resource to have within easy reach of a city; it is privately owned and maintained by the Irvings. On this beautiful day it was obviously popular as we passed a steady stream of runners, hikers, and dog-walkers. In the marsh the grasses look dead and the birds were rather sparse on the ground, but with days such as this, can spring really be far away? 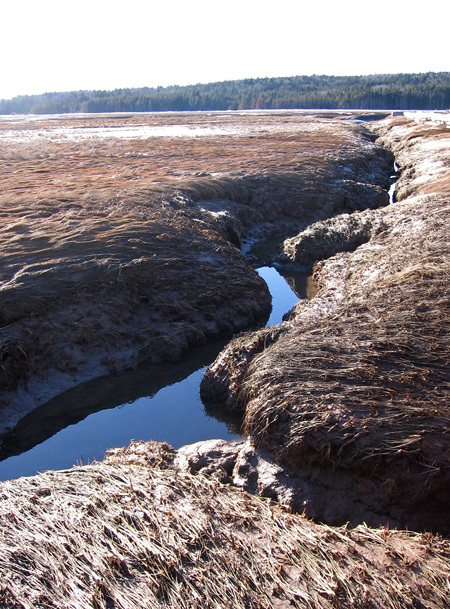 As is the case on Grand Manan, dead trees at the edge of the salt marsh suggest relative sea level change. 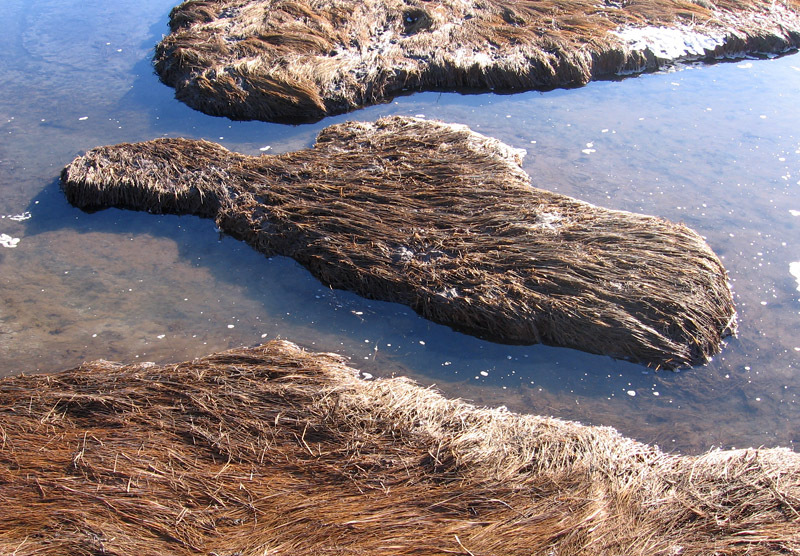 Either the sea has risen enough that high tides have killed the trees, or the land has been sinking. Manawagonish Island, just offshore, is also a nature reserve. The Bay of Fundy is certainly spectacular – in fact it seems to have everything as far as I am concerned (very like Britain’s Jurassic Coast). 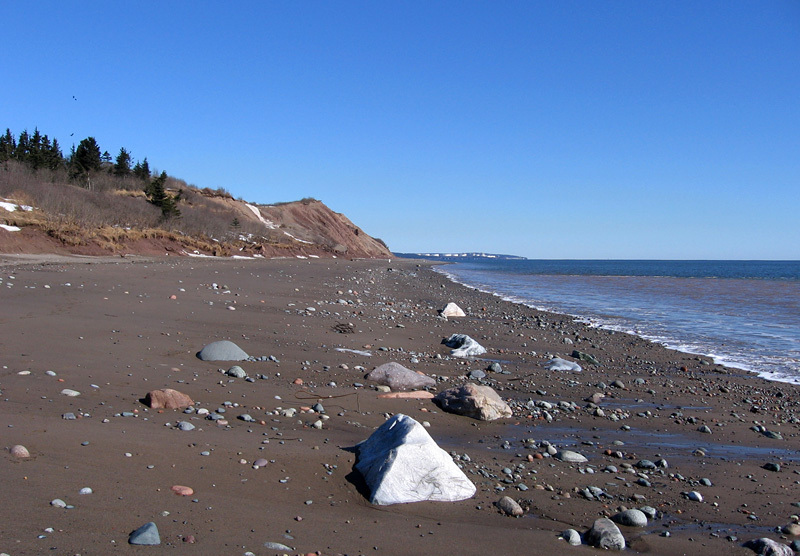 I am going to be there myself, on the Nova Scotia side, in June to explore the geology, fossils, vast shores, tides, and wildlife. 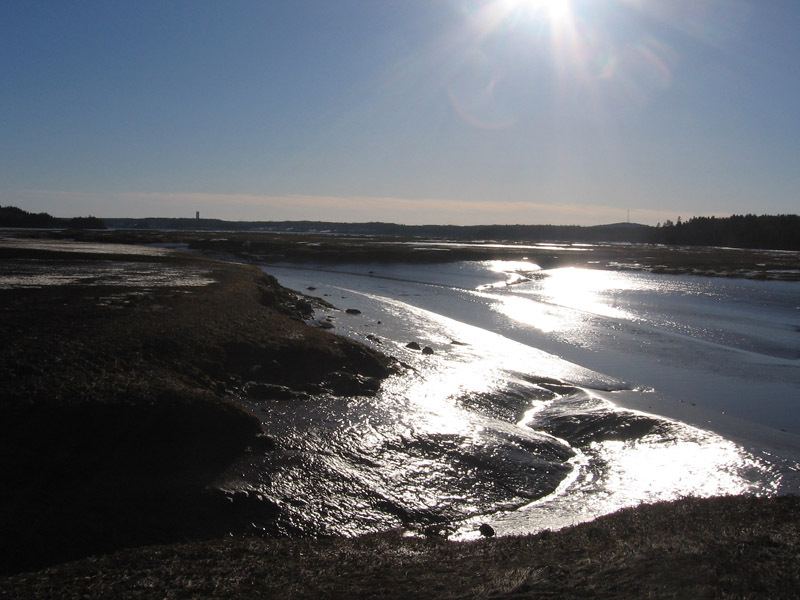 You are quite right about the Bay of Fundy as an important and varied shoreline. 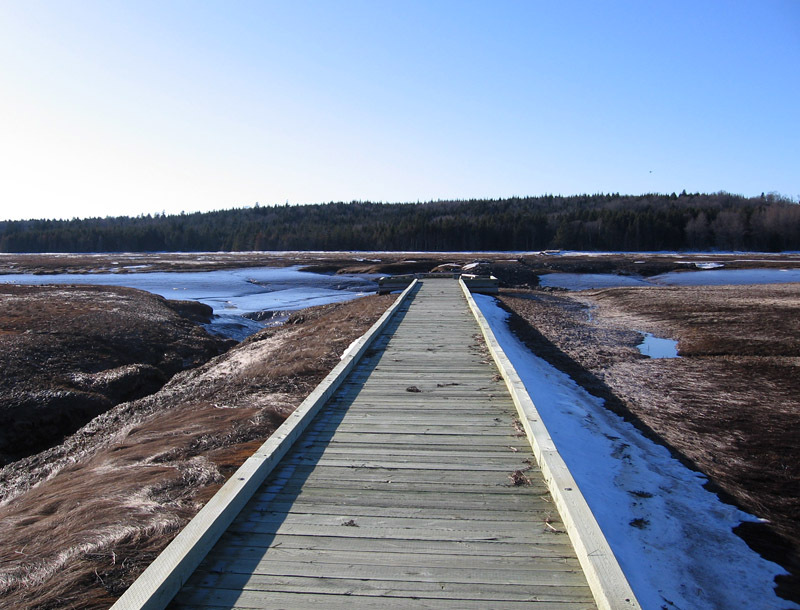 Where on the Nova Scotia side will you be? Brier Island is quite wonderful, if you can get there. 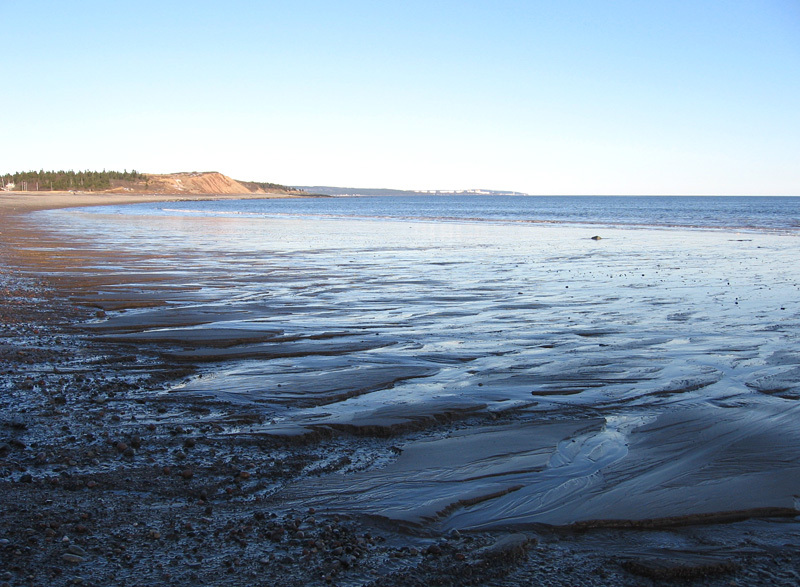 The inner bay (Minas Basin etc.) and the outer bay are incredibly different from one another, so try to get to both if you can. 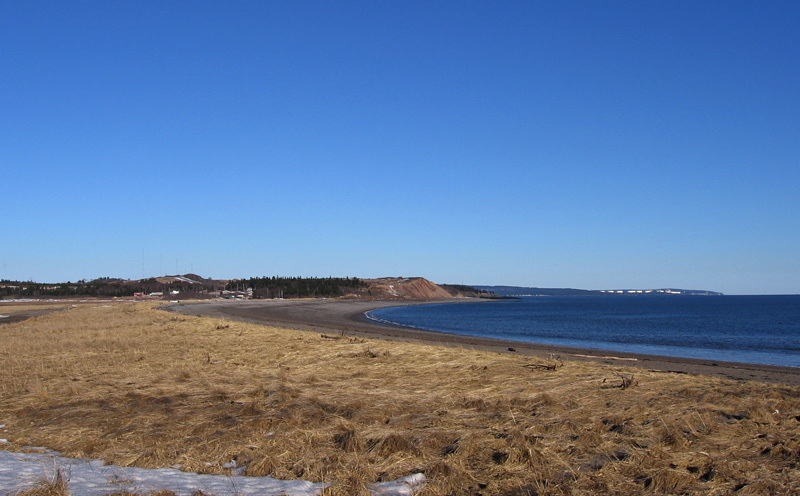 We are hoping to start off in Halifax, then spend three or four weeks in the area so we will have time to explore the south shore, the inner Minas Basin (maybe stay in the Parrsboro area and visit Joggins Fossil Cliffs), and the outer Bay. I have a great book called ‘Tidal Life – a natural history of the Bay of Fundy’ by Harry Thurston which will be my guide. 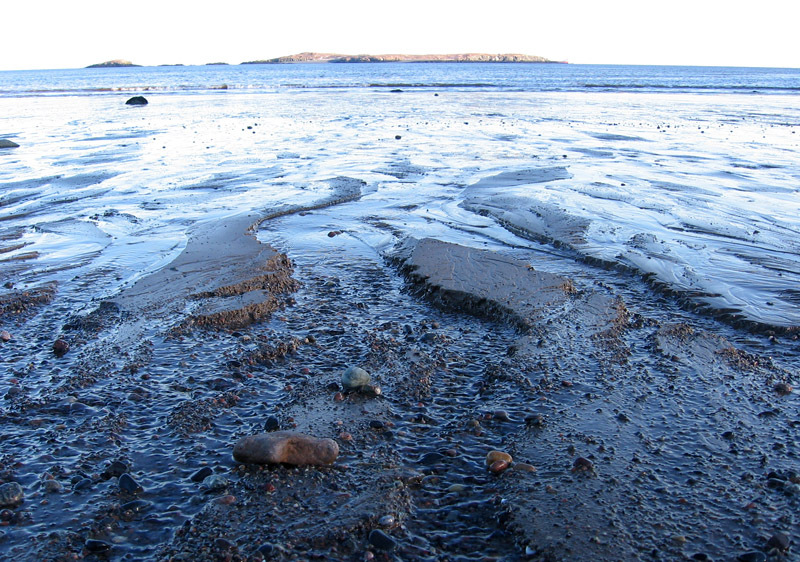 We’ll try to get to Brier Island – it sounds interesting. That Thurston book is excellent and those areas are all well worth a visit. I’m sure you will have a great time! A nice part of the world! Your pictures sure invited a visit! Great post Graham. Thanks, Dave! I hope your winter is going OK.
Ugh. Just look at your fossil plants and dream that you are in one of those warm, lush places! Good Post and Nice photography Graham…. 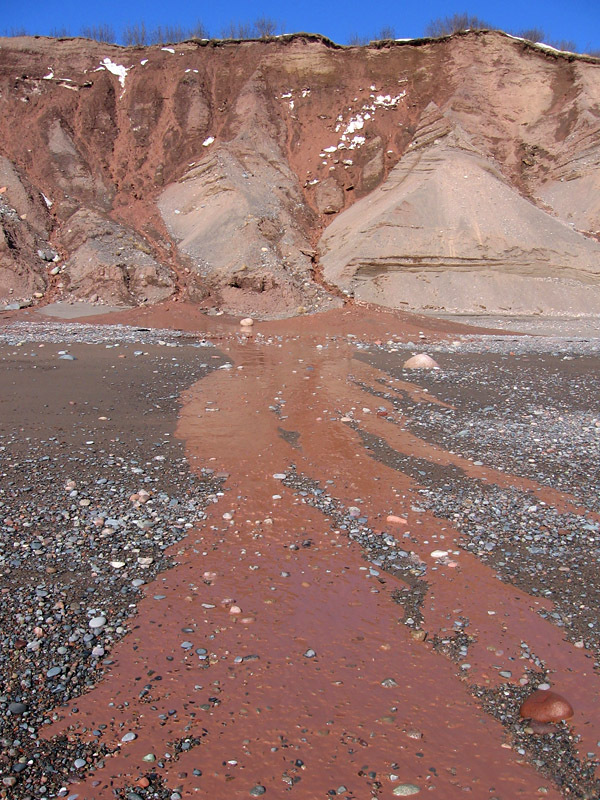 I remember more than a decade ago visiting Bay of Fundy… it was summer time and saw nothing but a sea of mud :)… we kept driving…. Thank you, Peter. That must have been the inner end of the bay; not much mud in the outer bay!